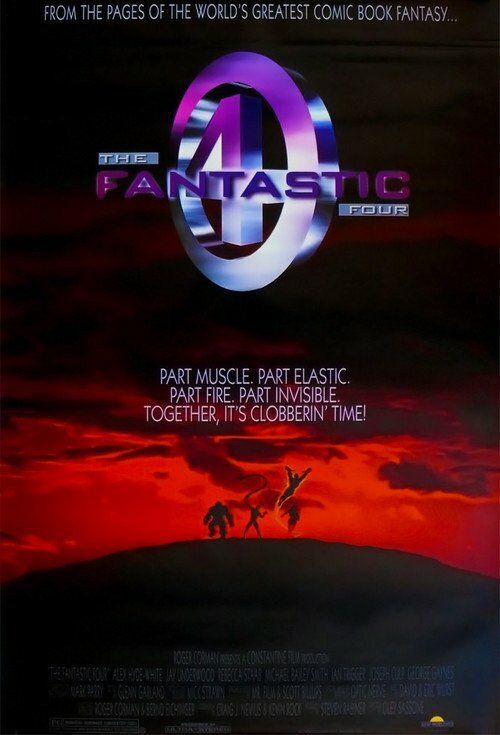 With all the buzz about the new Fantastic Four movie, (especially at how terrible it is) there’s a lot of comparison to the “original” Fantastic Four movie. You know: the one released in 2005 with Chris Evans in it. But it isn’t the original. Not by a long shot. The original was created in 1993 as a way for the studio to retain the rights to franchise, and was never meant to be released. This is a brief history of that film. This all started with a man by the name of Bernd Eichinger. You probably haven’t heard of him before. That’s okay. Most producers are happy to stay behind the scenes. Back in the late 70s, he founded Neue Constantin Films, which later became just Constantin. This is the studio that brought us The Neverending Story, The Name of the Rose, and all those Resident Evil movies. 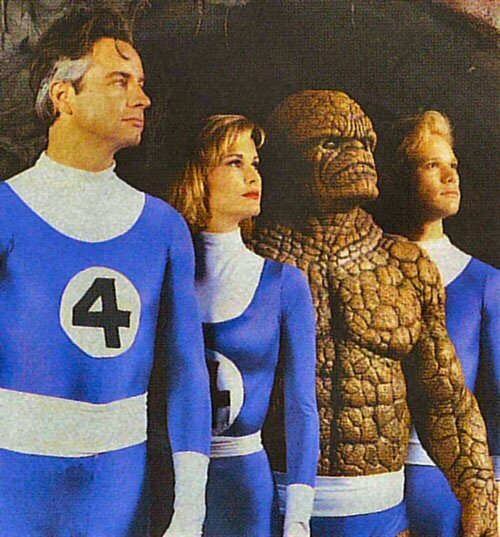 Bernd’s interest in Fantastic Four started in 1983, and he wanted to do a movie based on that IP. He met with Stan Lee to discuss an option for the film, but it wasn’t going to be available until 1986. Eichinger shopped around for a company to help his studio produce the film, but the proposed budget made the bigger studios balk at the prospect. The option on the franchise was set to expire at the end of the year of 1992, and, frantic, Eichinger asked Marvel to extend it, but they didn’t. So the only way he could hang onto the option was to make a movie. This is the most amount of money Corman was ever given to make a film, and by God he was going to do this thing right. 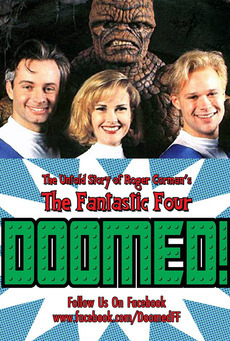 He got Oley Sassone to direct, Alex Hyde-White as Reed Richards, Jay Underwood as Johnny Storm, Rebecca Staab as Sue Storm, Michael Bailey Smith as Ben Grimm, and Joseph Culp as Dr. Doom. They weren’t exactly the most high profile of actors, but for $3,500 a week, it’s not like you could afford Tom Cruise. Everybody was excited to be involved in what they thought would be a high profile superhero film. Keep in mind that in the past few years prior we had Batman Returns, Darkman, Teenaged Mutant Ninja Turtles, and The Rocketeer. The superhero genre wasn’t in the state as it is today, but it was trying hard as hell to be, thanks to the success of 1989’s Batman starring Michael Keaton. While most of these may not have been critical successes, they were financial successes, and our actors knew that if they did this film right it would be very good for their careers. The film was shot in 21 days, including crash-landing the four’s spaceship in Agoura, and blowing up the lab on the Loyola Marymount campus. Just so you understand how compressed this timeline was, the latest Fantastic Four film was shot in 72 days, and had a budget of $122 million in comparison. The level of dedication, love and work that was put forth on this film was far more than what you’d expect for a Corman production. Reve Richards, the costume designer, went to a comic book shop to buy as many of the FF books as he could find to make sure he could be faithful to them. Carl Ciarfalio, who wore the rubber Thing suit worked closely with Michael Bailey Smith so that their mannerisms would match. Even David and Erik Wurst, the composers, personally spent $6,000 to make sure that they would have a 48 piece orchestra for the soundtrack. Hell, even Stan Lee himself visited people on the set to encourage them. In the summer of 1993, the promotional part of production had started. Trailers of it were playing on other Corman videos and in movie theatres. Cast members did a promotional tour, worked the con circuit, and even brought the Thing’s head with them. The film itself was screened at SDCC that year, and it was covered in many movie and scifi magazines. The film was slated to premiere for January 19th at the Mall of America. So what had happened? There’s still a lot of debate surrounding the film’s fate. The cast started hearing rumors that it was never intended to be released in the first place, that it was an ashcan copy. Stan Lee confirmed this in 2005 stating, “That movie was never supposed to be shown to anybody…. It was never supposed to be seen by any living human beings.” Corman and Eichinger, however, had a different story. “We had a contract to release it,” said Corman, “and I had to be bought out of that contract.” Eichinger stated, “That’s definitely not true. It was not our intention to make a B movie, that’s for sure, but when the movie was there, we wanted to release it.” Regardless, Marvel executive Avi Arad bought the film for a couple of million dollars cash, and ordered the prints be destroyed. 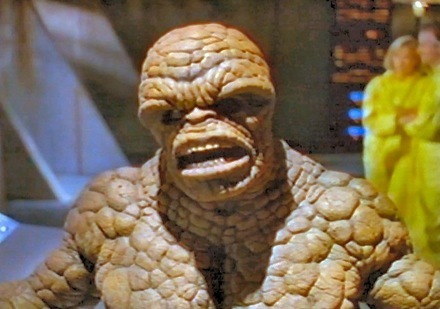 Most agree with Stan Lee and the cast, that Eichinger had deliberately created this version of the film so that he could retain the rights to the option. The fact that he started preproduction on a big budget version of the film in 1996 (which would eventually become the 2005 version) would lend credence to this version of events. At this point in time this remains the only movie Roger Corman never released, and the production has gone down in movie infamy. Copies of the film are still floating about here and there. I had bought a bootleg copy on VHS back in 1995 at NorWesCon, and I still have it today, having watched it far too many times to count (though right now it’s sitting in a box somewhere in my closet). There’s several copies that have been uploaded to the internet, and if you really want to watch it. There’s even a documentary in the works called Doomed! The Movie and it’s something that i’m looking forward to seeing be released as well, since we’ll get a more personal account as to what happened. As for the movie itself, how does it stack up? if you like arbitrary numbers, Rotten Tomatoes has it listed at 33%, compared to the 2005 version at 27% and the 2015 version at a whopping 9%. I’ve only ever watched the first two version (I, honestly, have no intention of watching this latest train wreck) and I think the numbers are fair. Neither are particularly good films, but the later suffers from being, at best, unmemorable. However, like other Corman works, the 1993 version it doesn’t put on any airs of being anything other than what it is. It’s a fun, lighthearted superhero film, best watched with friends. If you plan on seeing the latest release, well, all I can say is that you’re probably better off saving yourself some money and hunting down a copy of this. excellent summary of the events. I think I remember seeing still-shots from the film at some point in a trade mag in the early 90s. Was the Captain America movie from around that time a similar ashcan scenario? Why was The Flash TV show circa 1990 so good by comparison. Please don’t tell me I think that just because I was 10 at the time. Hi! Thanks for reading and commenting! I honestly don’t know much about the history of the 90s Captain America movie. I know that it was in development hell forever, and when it finally came out it was direct-to-video. Usually ashcan movies don’t even get that, so I don’t think it was quite the same situation. It is my honest opinion that the 90’s Flash was ahead of it’s time. Structurally and tonally it’s not that much different than today’s Flash (which I love dearly), and I think it would have done much better than it did if it wasn’t being broadcast up against The Simpsons and The Cosby Show, both very much well in their prime at the time. The 90s also brought us Lois & Clark, which spun the superhero genre as a romance dramady series, and was very successful. I think the success (well, would-be success in Flash’s case) of all these is partially due to it’s lighthearted, fun tone. They rarely took themselves seriously, and it was obvious that the cast and crew loved what it was that they were making. It’s the kind of attitude that put superhero comics on the map on the first place, which is why I think they were so beloved. I watched Fantastic Four yesterday, and it is way better than the version done by Roger Corman. I did not see some of the things in it, like dark and gritty that one of the reviews described. The main chara. cters spend the movie coming to terms with the changes they have gone through, it has depth and the action sequences are good, and then they come together as a team and a family, to be honest it would come off as fake and rushed it that happened instantly. I think critics were expected to be negative about, and it seems some did really did not pay that much attention to the movie. First of all, thank you for reading my little article and replying. I haven’t watched the newest version, and I don’t really plan to until it comes out on DVD. The original idea that was bandied about, that of a Cronenbergian body horror film intrigued me greatly. That would have been a unique take on the FF, much less any superhero movie. But, as I heard more about the kind of production problems that they had, and the amount of reshoots they had to do, and, finally, what the end result was, it was clear that they were just going to rehash the same-old, same-old. I agree that I doubt anything in the Corman version would be considered dark and gritty. Dark at times, sure. Visually. But it’s a campy film, and it was never meant to be taken with any amount of seriousness. I’m sorry you don’t share the same kind of joy that I have for the film, but that’s okay. We all have different likes and dislikes, and I’m not going to get down on anybody who doesn’t like the same things I do. After all. I don’t like avocados, and people swear to me that I’m still a decent human being despite this.